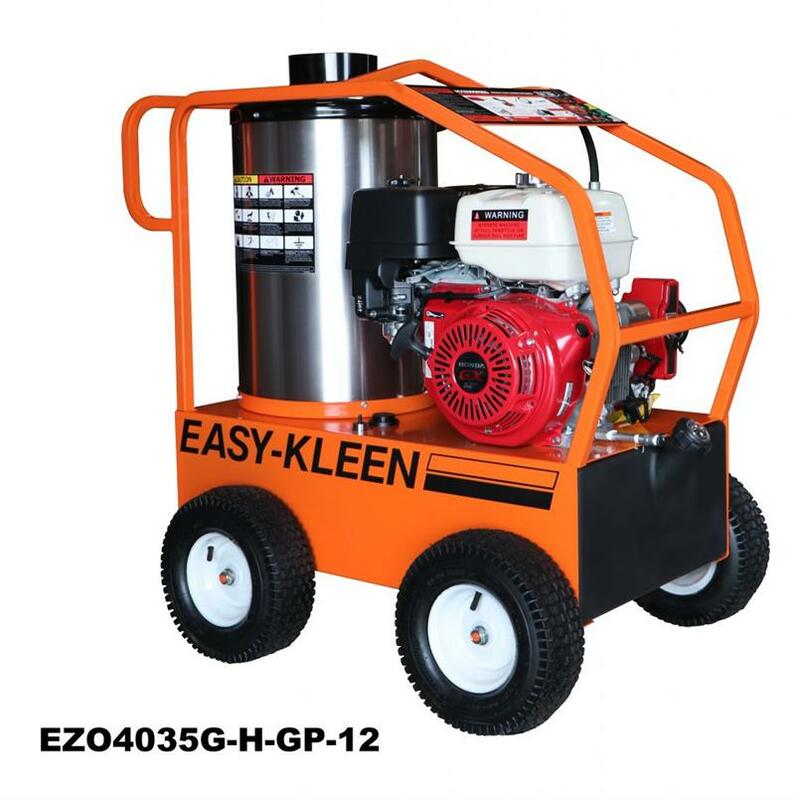 Easy Kleen is the leading manufacturer of high-pressure cleaning equipment for both commercial and industrial purpose. We dedicate ourselves in offering reliable and efficient washers which produce optimum cleaning results. We use perfect technology that combines high pressure and high temperature resulting in an excellent balance between performance and efficiency. Our team manufacture pressure washer that is easy to use and maintain. and is structurally braced to minimize pipe wear and vibration, all completely sealed with ceramic blanket with stainless steel coil skin for total efficiency. Quality North American made Oil fired burners with adjustable thermostats are used for efficiency, dependability and serviceability. Rugged 12 gauge bent one-piece steel frame all welded with lifting bar and roll cage frame all powder coated and housing a 10-gallon poly fuel tank. A hose reel can be mounted on the front plate. ¾” axles are welded to frame and 13” pneumatic wheels are held on with ¾ nuts. *Shipping From Canada* Freight to the continental USA With commercial Loading Dock only. *Extra charges apply for additional services, Residential, Tailgate, etc.